Ooooo kids. Pull up a chair and let me tell you about two of the most storied players in the game. 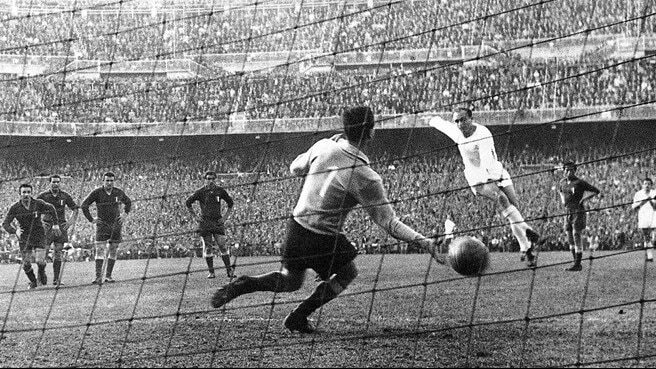 Di Stefano, born to Italian immigrants in Buenos Aires, moved to Spain to play for Real Madrid after some time with Millionairos in Argentina. Within 4 years, he was gaining Spanish citizenship (something of a uproar happened over this as Real was seen as the favorite team of the Spanish govt. 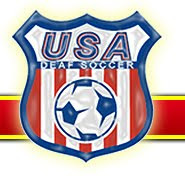 at the time and may have had something to do with having already played for Argentina before). The man that several of the top 50 soccer players of all time consider to be the "most complete footballer in history", Di Stefano made the most of his time in Spain. Over the course of 4 years, he logged 23 goals in 31 matches for country and 216 goals in 284 for Real Madrid. After his retirement, he was named honorary president of Real. Two time Ballon d'Or winner, 4 time Spanish League lead goalscorer and 5 time Euro Cup winner. 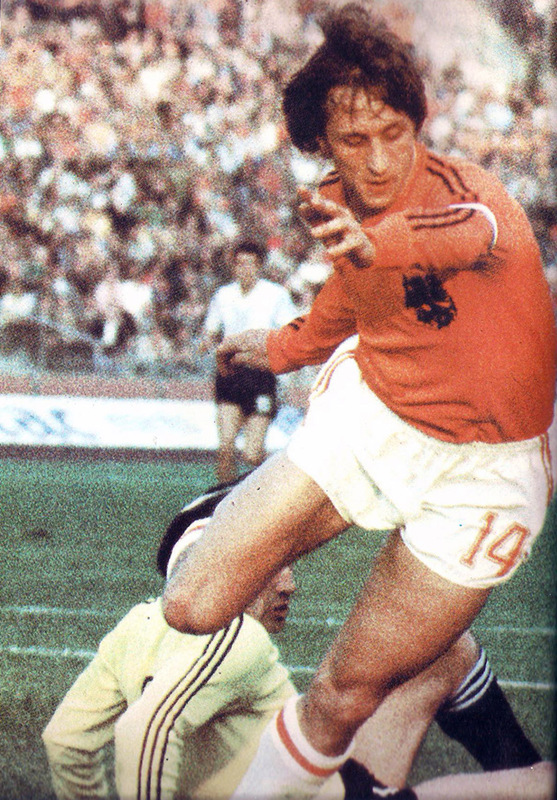 Cruyff, the man after whom a soccer move was named, is always first to mind when the club Ajax or country Netherlands or "Total Football" are mentioned in conversation. With 33 goals in 48 international games, Netherlands never lost when Cruyff scored. Three times a Ballon d'Or winner, and who's playing days rival his coaching ones with Ajax and Barcelona, Cruyff retired from football ahead of the 1978 World Cup citing kidnap attempts. "You have to be 200% okay to play, and sometimes there are other values in life". Surprisingly, he was the first ever Dutch player to receive a red card in a game and was actually suspended for a year for this. This will be the match of the week. Hands down. I expect a low scoring tightly played game. Spain 1 Netherlands 0.